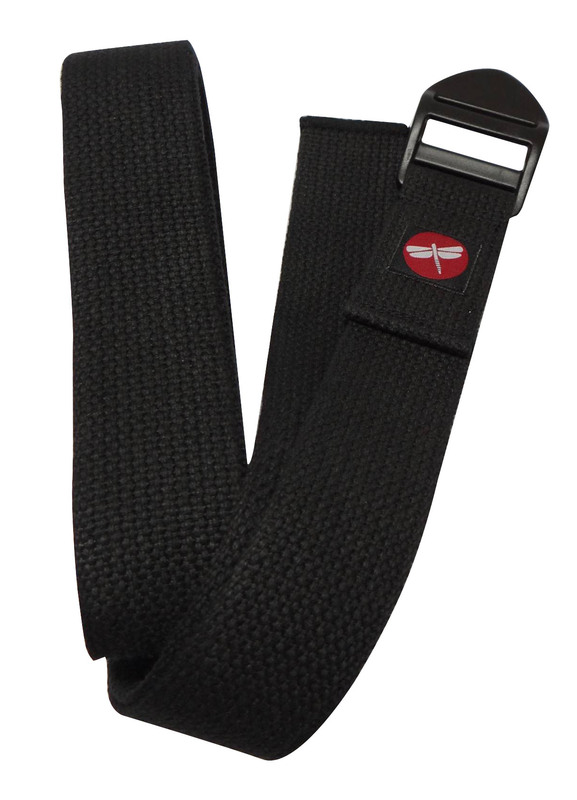 The Dragonfly cinch buckle strap is a must-have for any yogi. While the strap can be used at the beginner level for those with limited flexibility, it is equally effective for experienced yogis looking to go deeper into technical poses. A perfect example of performance redefined, the tightly woven strands of cotton and anti-slip cinch buckle ensures superior rigidity and performance while incorporating organic fibers. This is the best plastic buckle strap that I have ever purchased (I have been teaching yoga for 40+ yrs). This strap is NOT flimsy; it is sturdy and strong. And at this price is truly an outstanding value.